18-year-old Harry Reed has signed a one-year deal with the club, with the option to extend his contract into 2019-20. Harry is a graduate of the club's Academy who became a regular fixture in the first-team squad last season. He made his first-team debut the season before last, aged just 16, and immediately impressed everyone with his composure at full-back. He made 13 appearances for the Rooks last season, including six starts, and scored a memorable goal during our victory at East Grinstead. A versatile player, Harry can play anywhere on the right-hand side of the park, and even filled in at centre-back this week, helping the side to maintain a clean sheet during our pre-season fixture at Hastings. "I'm delighted to get Harry secured on a contract," said manager Darren Freeman. "He's done exceptionally well when he's been given a chance in the first team and it sends a message to the all the young lads at the club, that if you work hard and get your head down, I'm happy to give you a chance." Harry isn't the first member of his family to grace the Dripping Pan. 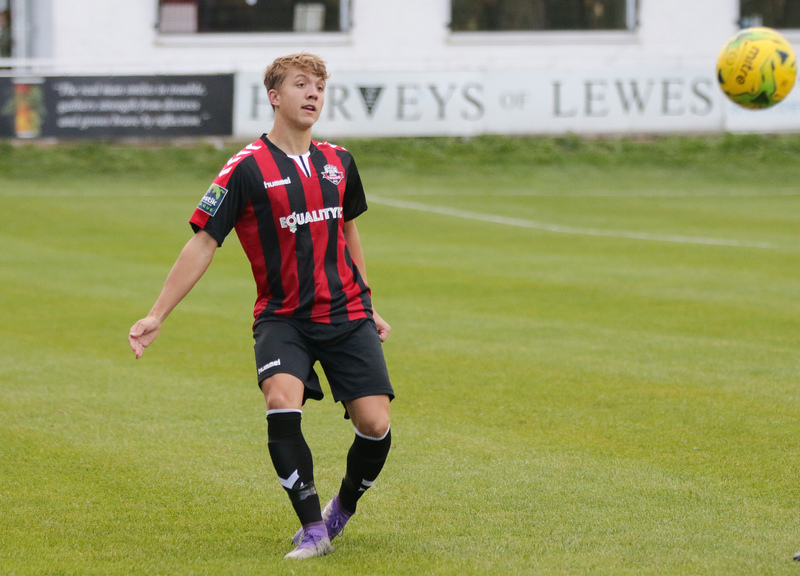 His dad, Mark, played for Lewes in the 1980s. Mark remains a regular at the Dripping Pan, watching his son play.